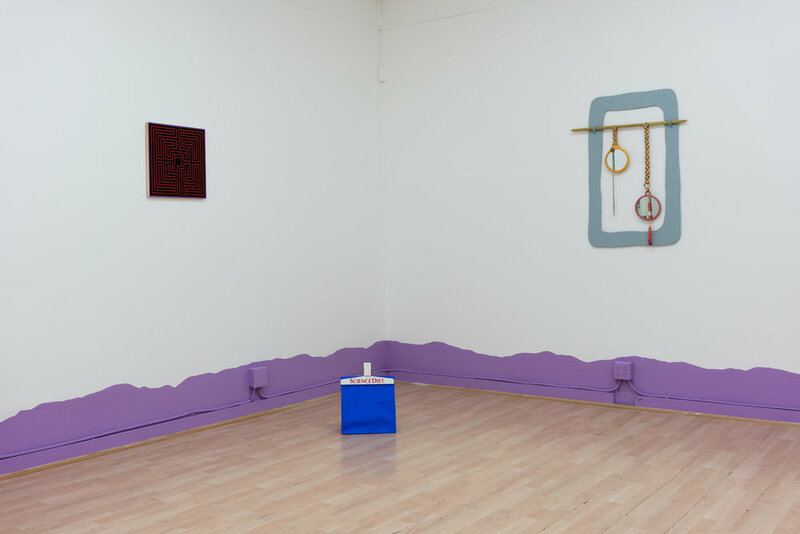 Royal NoneSuch Gallery presents You’re weird for building this, a collaborative two-person exhibition from artists Sarah Hotchkiss and Stephanie Rohlfs. Inspired by “animal enrichment devices,” the objects provided by zookeepers and pet owners to reduce stress and improve an animal’s quality of life, the artists present enrichment devices for human audiences. The utilitarian decisions made by industrial designers become generative springboards for the artists in sculptures that enclose, support, tease and soothe. A hanging human-scaled cage nods to bird enclosures with their “fascinator” objects and camouflage. A fish tanks’ miniatures mimic the gallery space, creating a meta loop, a hamster wheel of the mind. 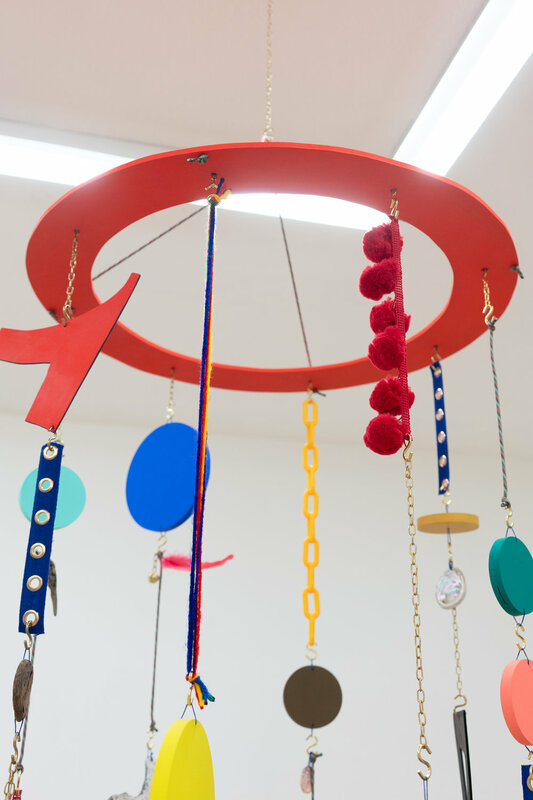 Custom furniture, live plants, sound and atomized scents build a space for a playful investigation of the relationship between artist, viewer and object. Hotchkiss and Rohlfs re-build the gallery as an immersive experience for the viewer, designed to function as a space for stimulation, mollification, and presentation. Sarah Hotchkiss is a San Francisco-based artist and arts writer. 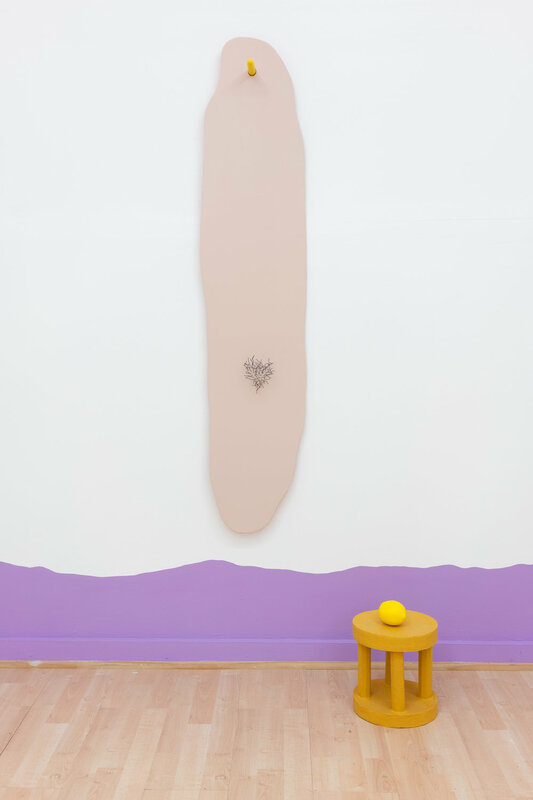 She has previously exhibited her work at the Hunter East Harlem Gallery, Royal NoneSuch Gallery and as part of the San Francisco Arts Commission’s Art on Market Street program. She has attended residencies at Skowhegan School of Painting & Sculpture, ACRE and the Vermont Studio Center. She watches a lot of science fiction, which she reviews in the semi-regular publication Sci-Fi Sundays. She is the visual arts editor for KQED. 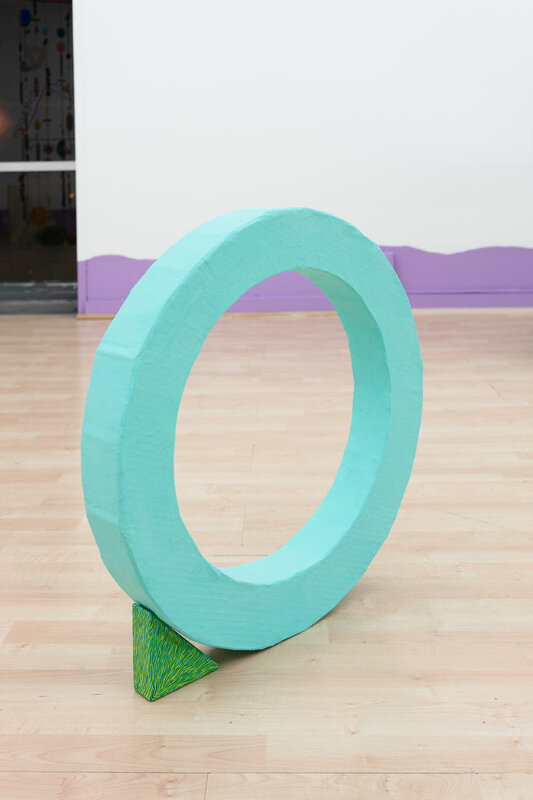 Stephanie Rohlfs is an Oakland-based artist. She received her MFA from the San Francisco Art Institute in 2014, and has previously exhibited work in Bass & Reiner, Root Division, and inside a giant cheese cube in Manchester, England. She served as co-director of City Limits Gallery from 2014-2016. 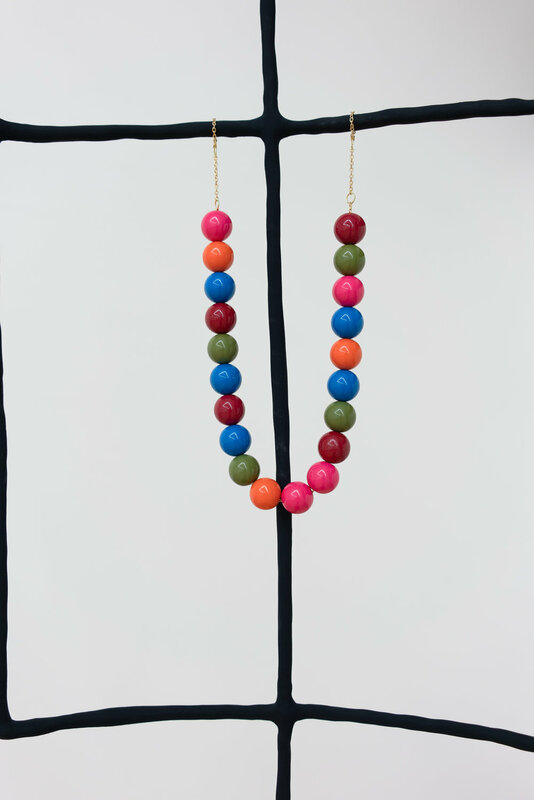 Stephanie Rohlfs, Fake Friend Fascinator, 2018, Wood, paint, mirrors, epoxy clay, ceramic beads, chain, jingle bells, raffia, 37 x 29 in. 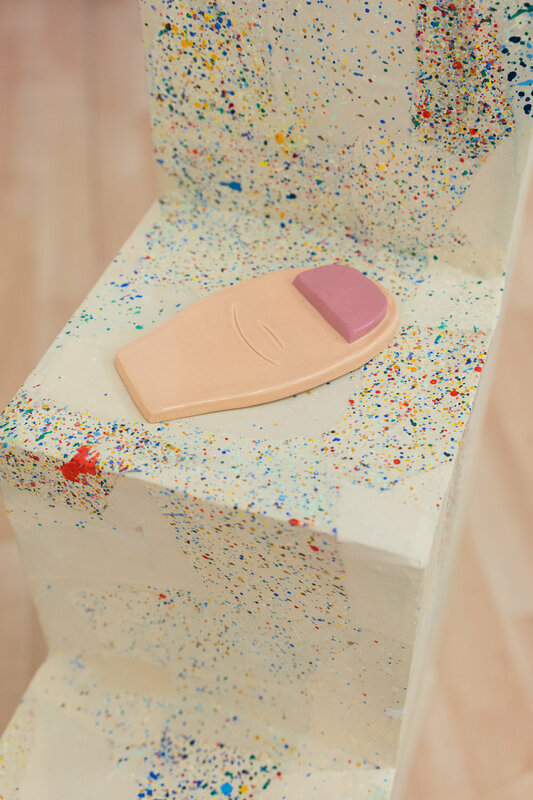 Stephanie Rohlfs, Turd, 2018, Painted ceramic, 4 x 1 x 1 in. Sarah Hotchkiss, Lemon Ped, 2018, Cardboard, papier-mâché, gouache, 13 x 9 x 9 in. 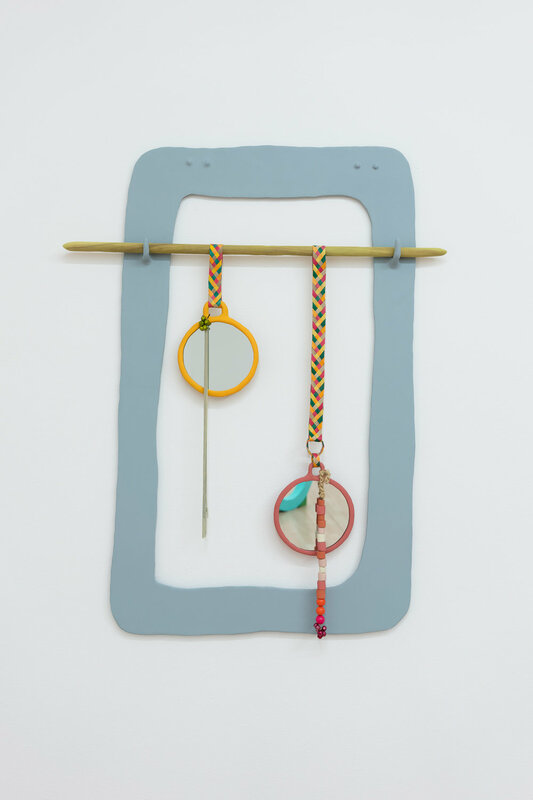 Stephanie Rohlfs, Long, Long, 2018, Wood, epoxy clay, wire, acrylic paint, 56 x 13 x 7 in. 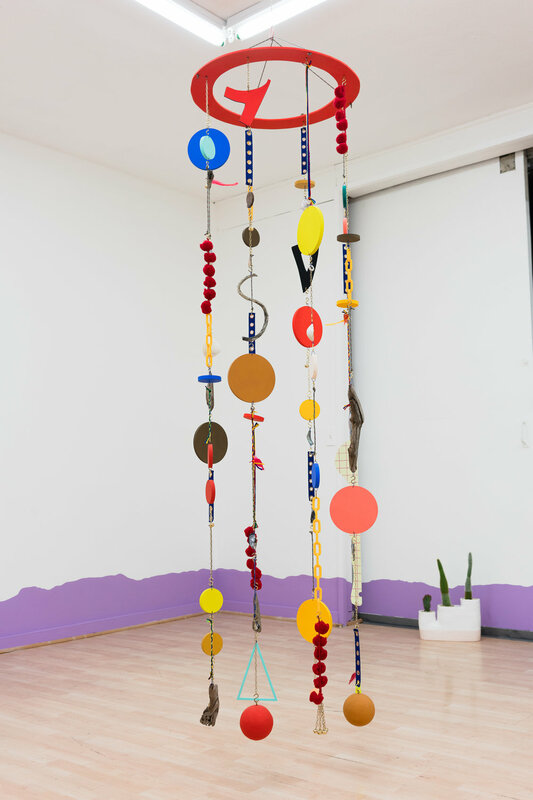 Sarah Hotchkiss, Windchime Jellyfish, 2018, Masonite, fabric, driftwood, shells, hardware, feathers, yarn, bells, plastic chain, nylon cord, gouache, 94 x 24 x 24 in. 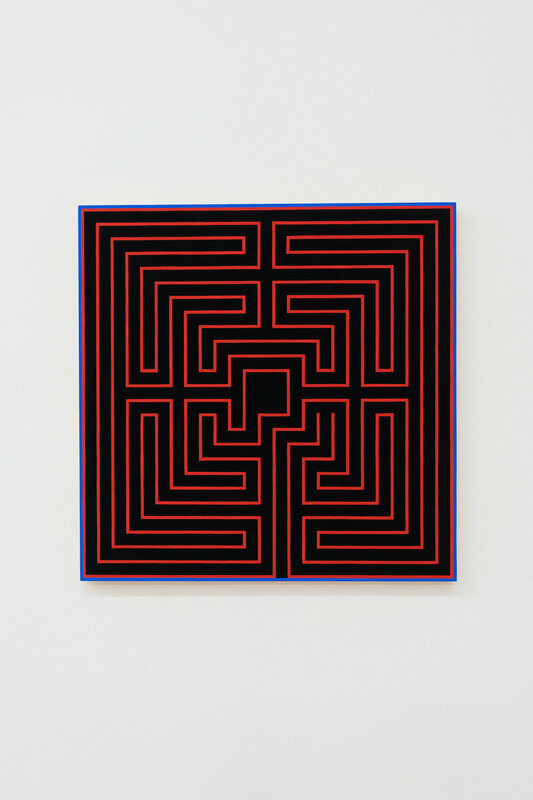 Sarah Hotchkiss, Preserver Ped, 2018, Cardboard, papier-mâché, gouache, wood, 24 x 24 x 3 in. 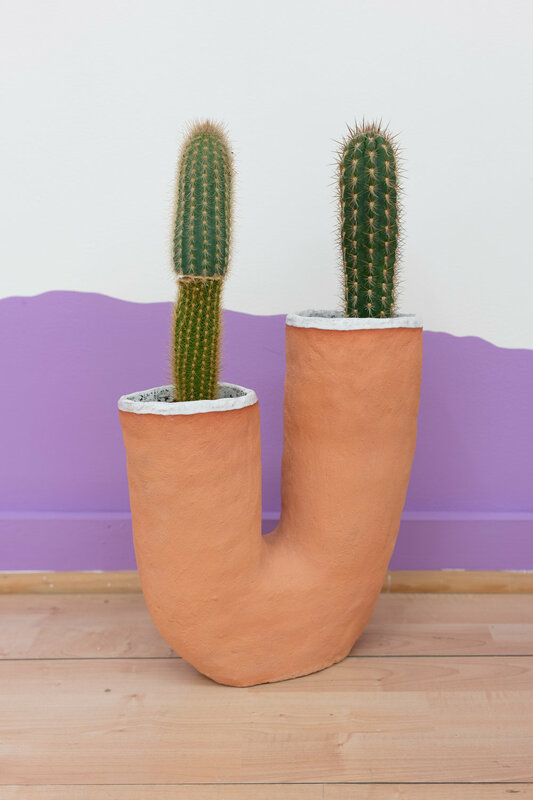 Stephanie Rohlfs, Grafted Plant Object, 2018, Grafted ceramic, cacti, 20 x 12 x 5 in. Stephanie Rohlfs, Twisted Plant Object, 2018, Glazed ceramic, epoxy clay, cacti beads, 25 x 10 x 8 in. 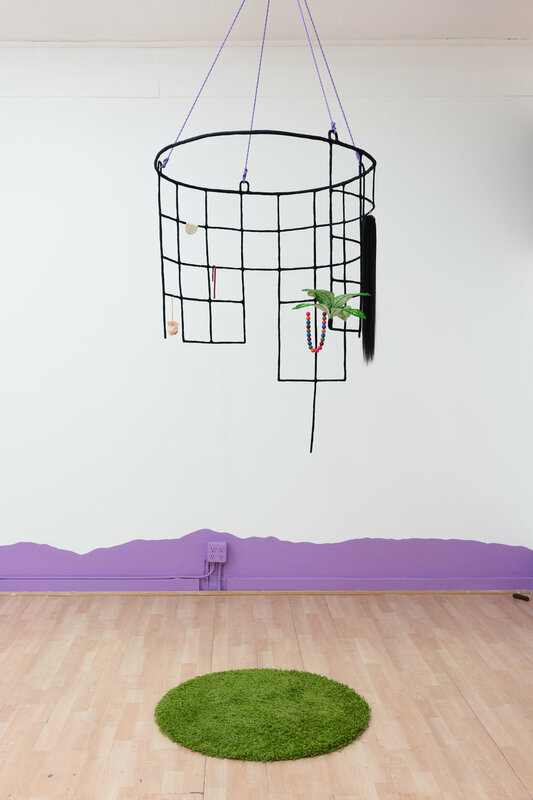 Stephanie Rohlfs, Fishtank Birdperch, 2018, Fish tank, wood, fabric, epoxy clay, rubber-coated ceramic, fake plant, six fish, two shrimp, 44 x 21 x 12 in. 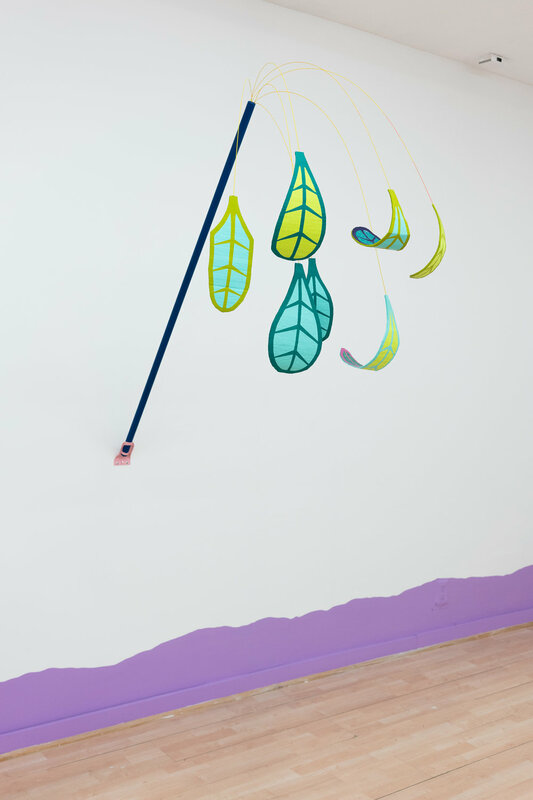 Sarah Hotchkiss, Leaf Tease, 2018, Wood, cardboard, papier-mâché, wire, gouache, 52 x 30 x 55 in. Sarah Hotchkiss + Stephanie Rohlfs, Science Diet, 2018, Paper bag, plastic clip, gouache, audio loop, 12 x 12 x 7 in.